In these highly uncertain times performance measurement is becoming an ever more important part of an investor's fiduciary responsibility. Against this backdrop IP Real Estate will be hosting a webinar to debate some of the key trends and questions surrounding this topic - progress so far and how far this meets investor needs. 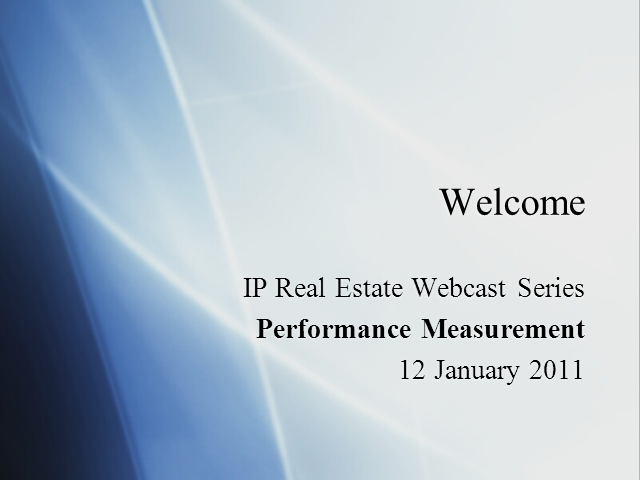 This interactive session will include reference to material in the Performance Measurement Digital Supplement that accompanies the November/December print edition of IP Real Estate, which includes reports on progress at two of the leading index providers - Investment Property Databank (IPD) and the Association of Investors in Non-listed Real Estate Vehicles (INREV). Matthias Thomas, INREV's recently appointed CEO, INREV's research manager Casper Hesp and Ian Cullen, co-founding chair of IPD will be joined by one of the key end-users of this data, Stephen Ryan, principal at Mercer Investment Consulting in a debate that will be essential listening for investors, investment consultants and investment managers alike.